After posting about the downburst-caused crash of Delta 191 on this the 36th anniversary of that terrible event, Brad Ketchum of the NWS in Wichita brought to my attention a likely downburst-related crash in Mexico two days ago. 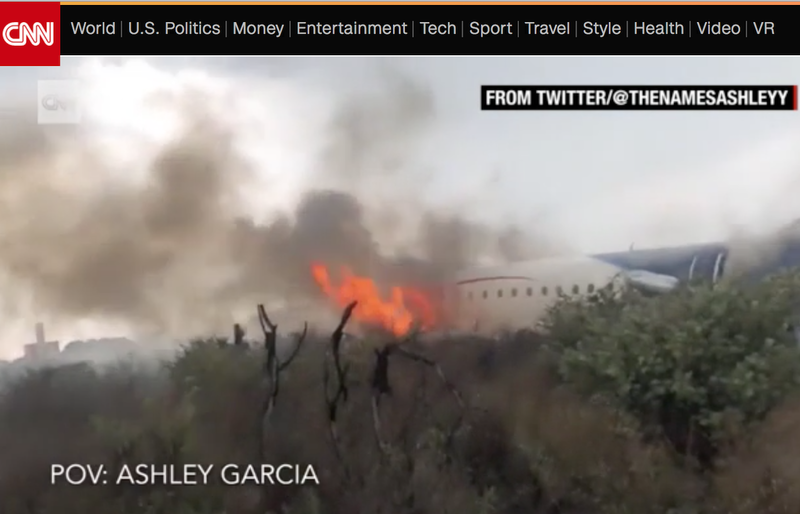 The plane was attempting to lift off on a flight from Durango, Mexico to Mexico City. 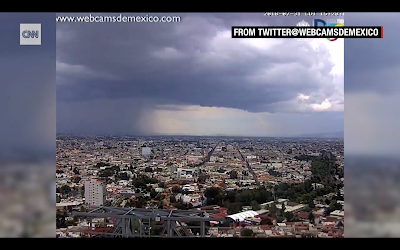 Here are four screen grabs from a Mexican webcam overlooking Durango that gives some insight into the weather at or near the crash scene. 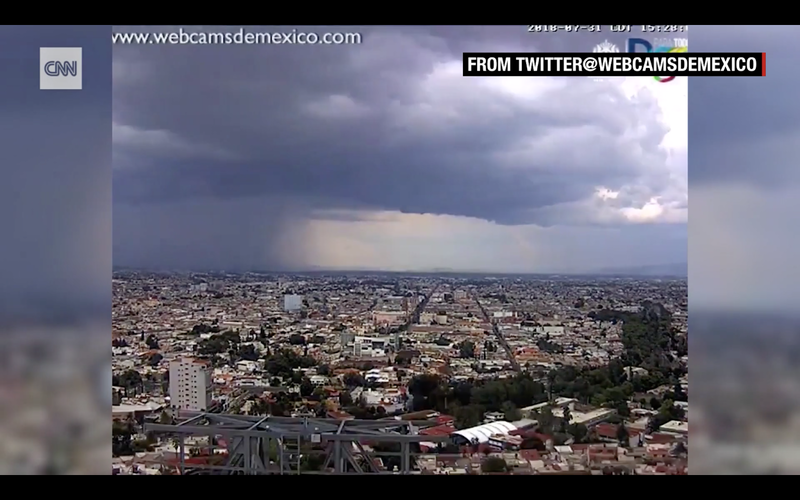 There were two rainshafts that contained downbursts. 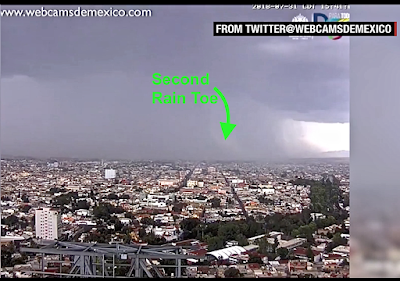 A rain toe is the signature of a downburst that has struck the ground. 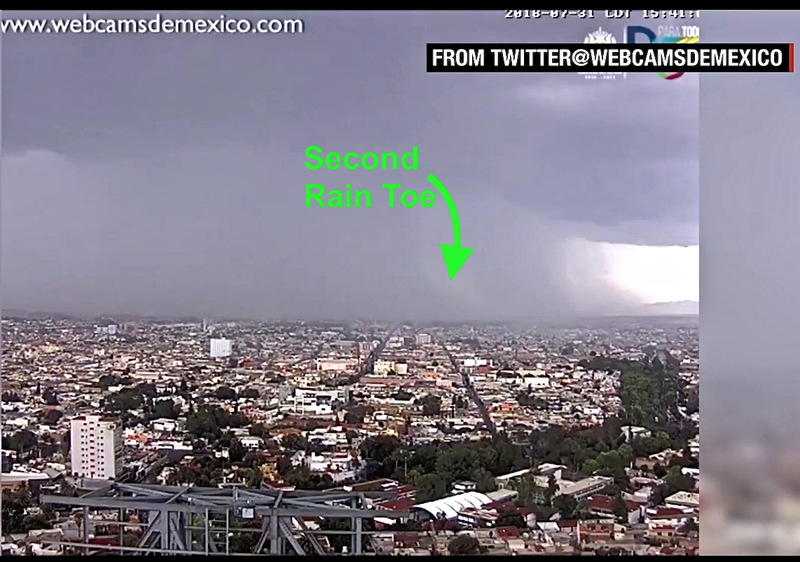 I don't know if either of these was the "culprit" in the crash or whether a different downburst might have been involved. However, the circumstances were very similar to those surrounding the crash of Continental Airways Flight #426. It crashed at the end of the runway attempting to take off in a downburst enroute from Denver to Wichita in 1975. Like the Durango crash, no one was killed. 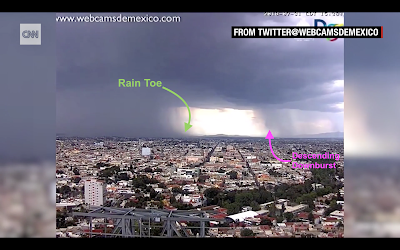 Airports in Mexico have neither the Low Level Wind Shear Detection System nor Terminal Doppler Weather Radar, the two systems that, along with advanced training, have eliminated U.S. downburst accidents since 1994. 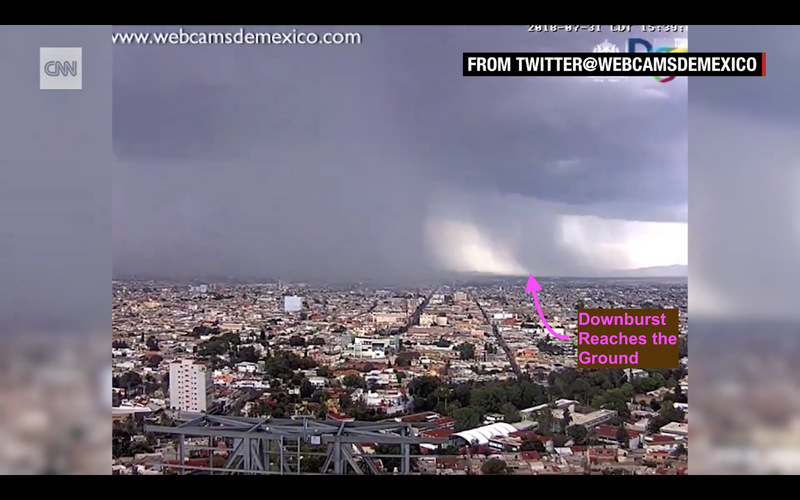 Again, for more information on aviation and downbursts, please scroll down one post.